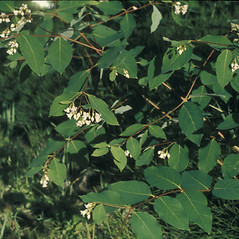 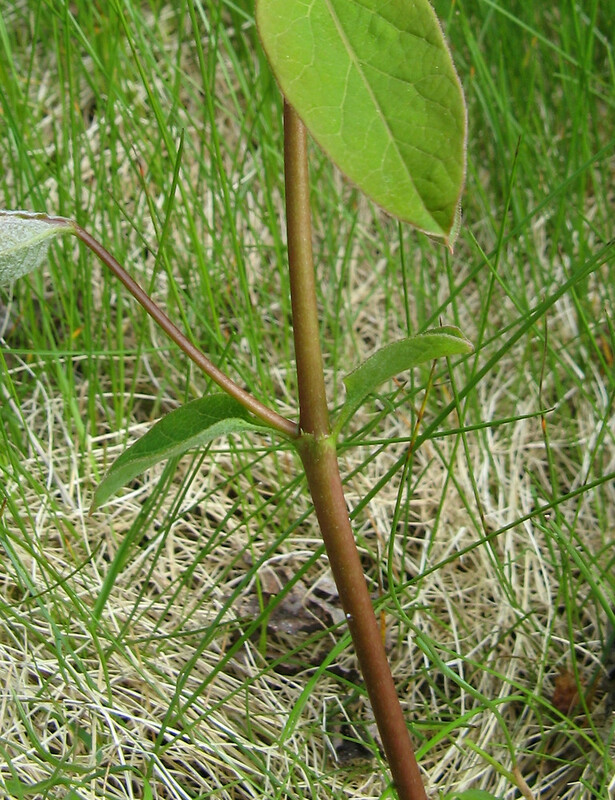 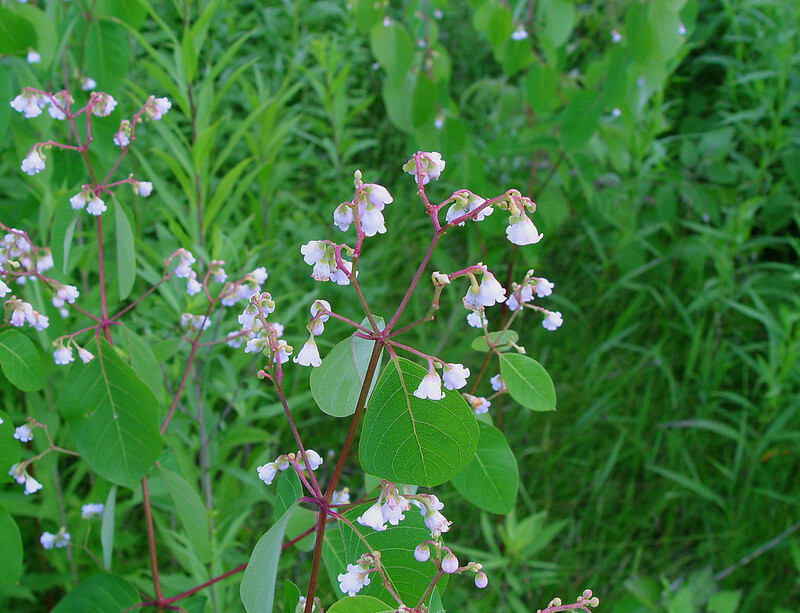 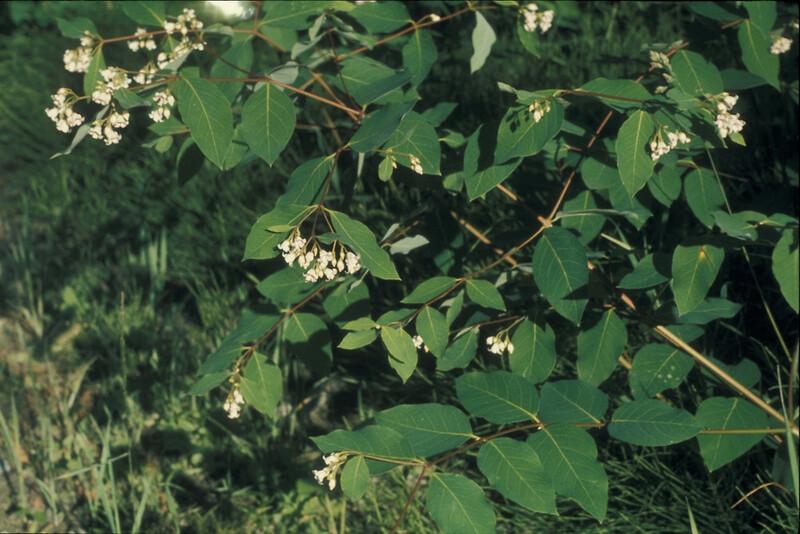 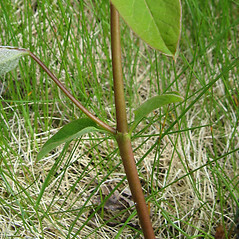 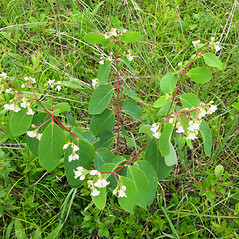 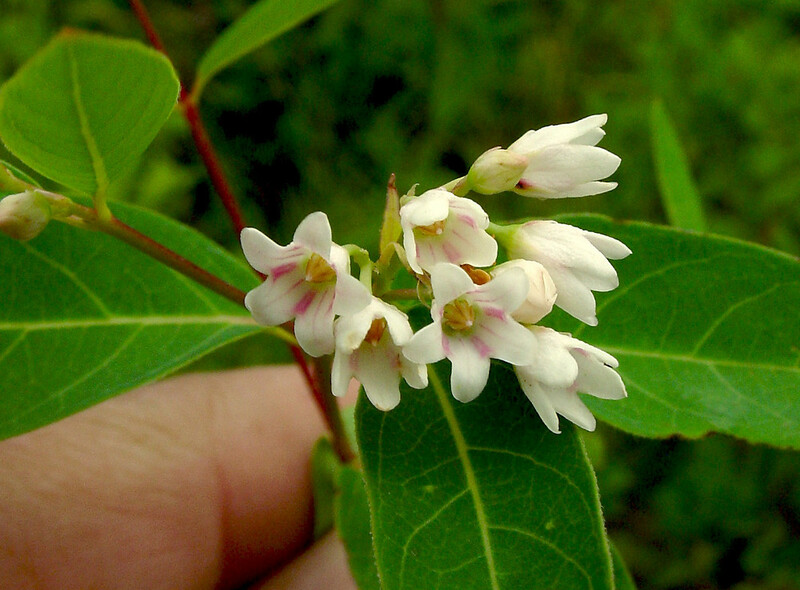 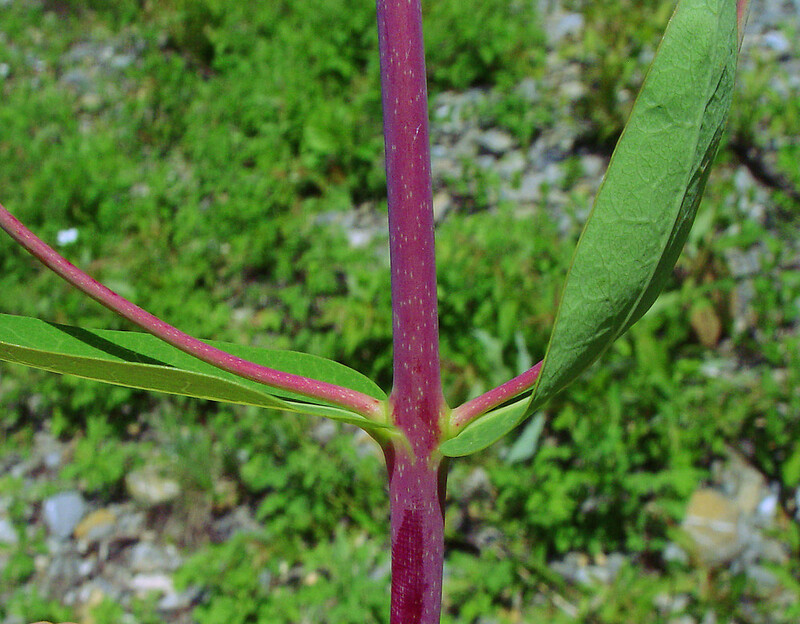 Spreading dogbane is widely distributed across North America and is common in dry, open areas in all New England states. 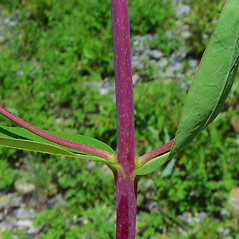 The root was used by many Native American tribes for a range of medicinal purposes, while fibers from the stems were processed to make fine thread or strong cordage, such as for bow strings. 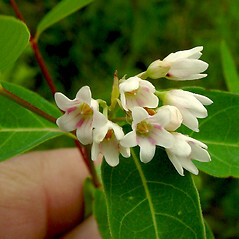 petals white, green-white, or yellow, not recurving at the tips, the entire flower 3-6 mm long and upright (vs. A. androsaemifolium, with petals pink or white with pink stripes, recurving at the tips, the entire flower 6-10 mm long and nodding). 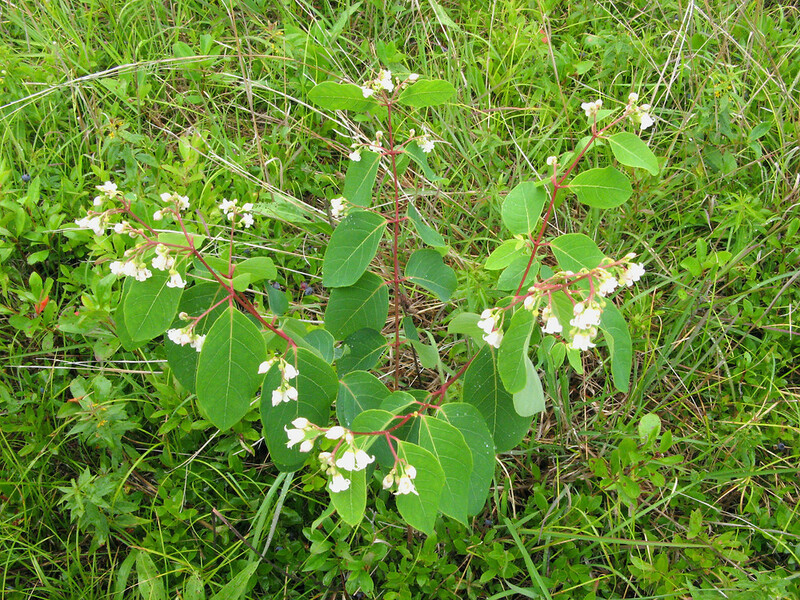 spreading dogbane. 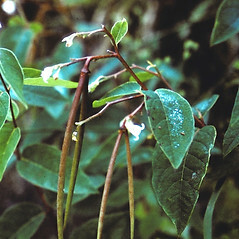 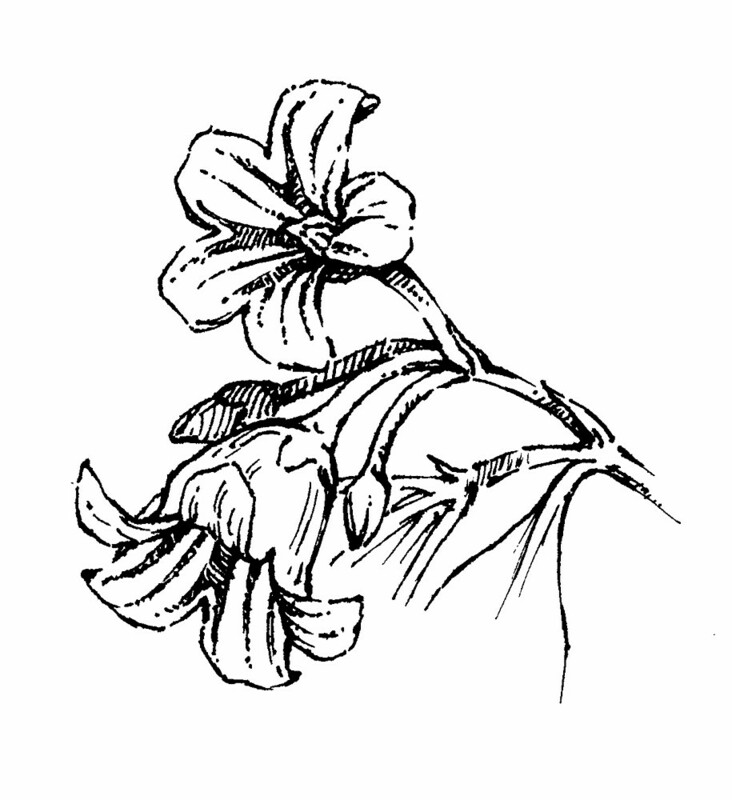 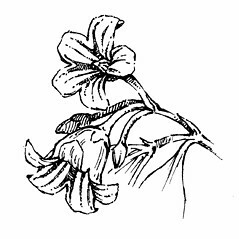 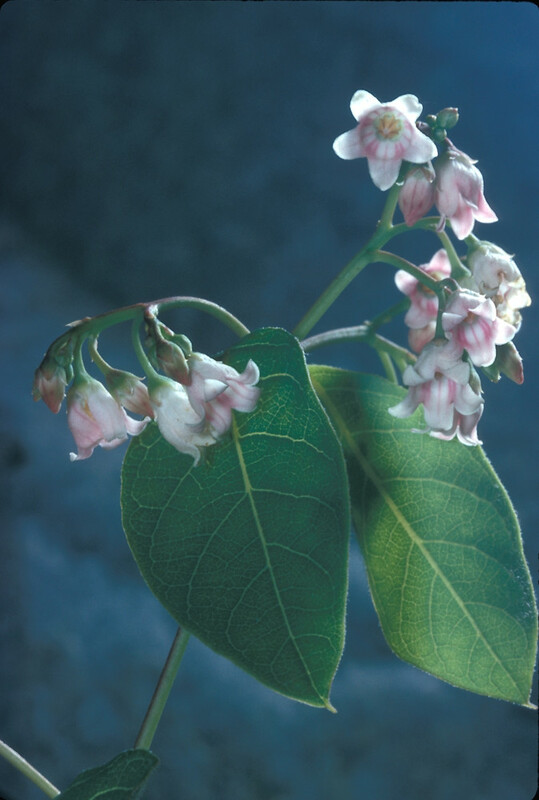 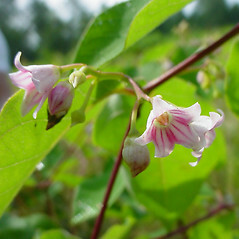 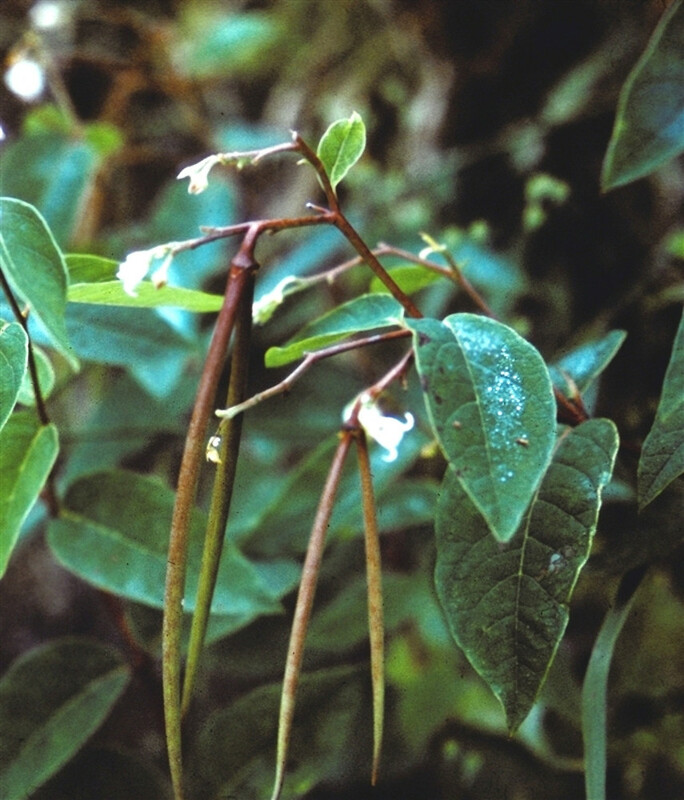 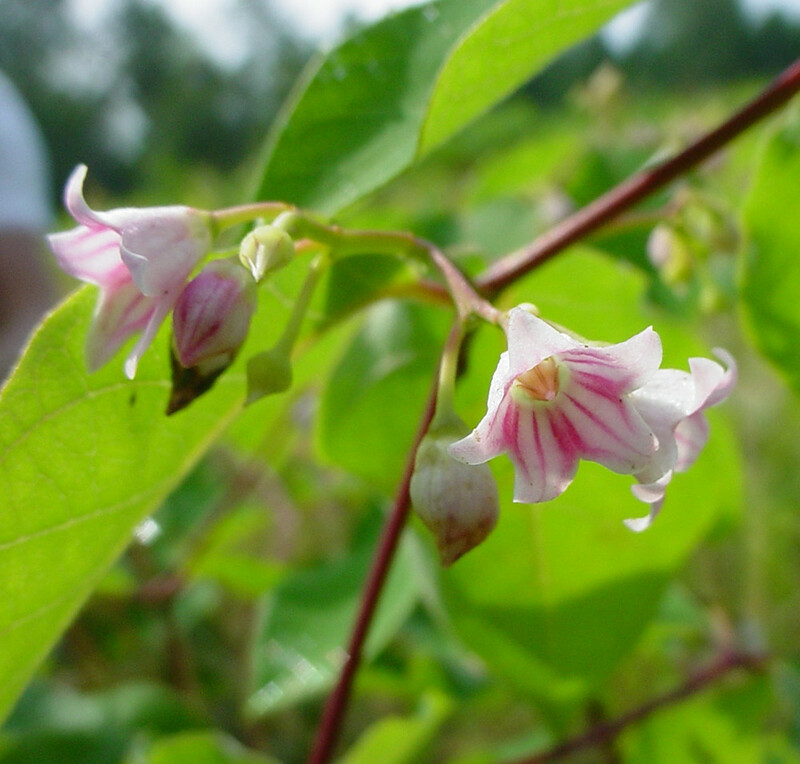 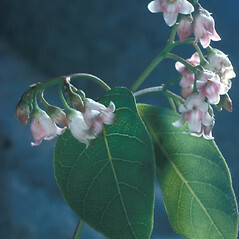 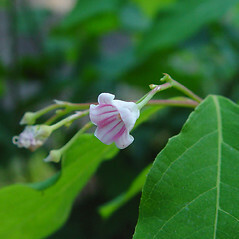 Apocynum ambigens Greene; A. androsaemifolium L. var. 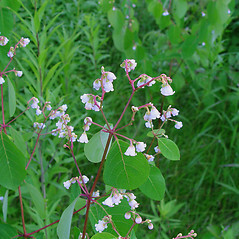 glabrum Macoun; A. pumilum (Gray) Greene • CT, MA, ME, NH, RI, VT. Fields, roadsides, woodlands, forest edges.